This article deals with data inscribed on Ancient Egyptian cubit rods, and more specifically on the ceremonial cubit rods. Following a description of their technical and symbolic aspects, the paper reveals a property of the fine subdivisions engraved on the graduated part of these objects, and demonstrates that they could have allowed the cubits to be used as very accurate measuring rulers for architectural drawings and craft works. 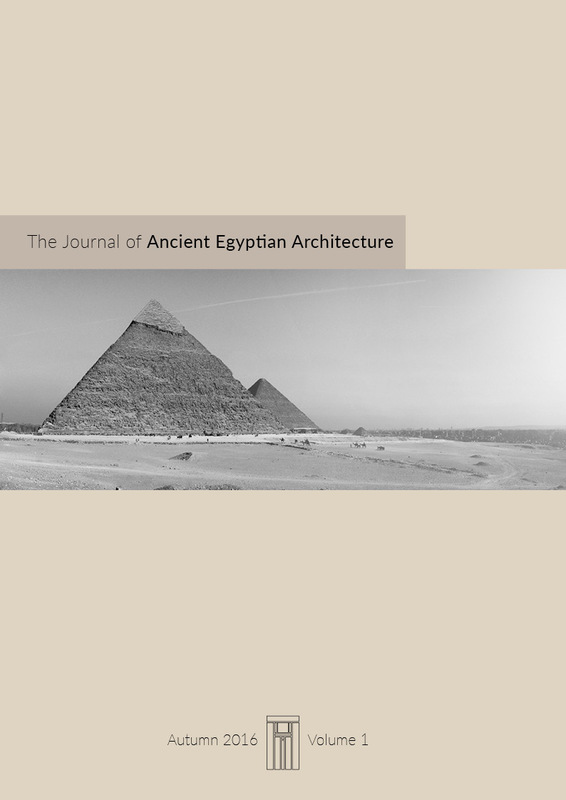 Sandstone was one of the principal building materials of ancient Egypt, and this paper provides an overview of the varieties and sources of sandstone used in temples and other monuments. Included are lists of all known sandstone temples and quarries with precise locations given for each along with their age and status, and additionally for the quarries, size and petrology. Three megascopic properties (grain size, bedding type, and color) and one microscopic property (total feldspar content) are assessed in terms of their usefulness in recognizing sandstone varieties and their sources. In the collection of the National Museum of Scotland is a block of limestone that was once part of the outer face of the Great Pyramid of pharaoh Khufu. This article presents the results of a new study of the stone carried out in Edinburgh in April of 2013, with permission granted by National Museums Scotland. The stone was originally brought to Edinburgh in 1872 for Charles Piazzi Smyth who was interested to study the principles of its dimensions and proportions. This new study demonstrates that when appropriately investigated, the stone reveals significant information about its original position on the Great Pyramid, as well as information regarding the Ancient Egyptians' own systems of measurement and architectural construction. The article also addresses the symbolic significance of the principal dimensions of this stone, and the monument on which it was placed. The divine Apis bulls were kept, lived, died, and were prepared for burial within the building complex known as the Place of Apis, somewhere in the vicinity of the main temple of Ptah at Memphis. Unfortunately, its exact location and layout are yet to be identified on site since large parts of the Ptah temple enclosure today lie under the modern settlement of Mit Rahina. Yet, since the Place of Embalmment has already been discovered in the south-western corner of the Ptah temple precinct, the rest of the sanctuary must have been located nearby. The purpose of this article is to propose a completely new layout for the sanctuary of Apis based on all available source material in order to connect parts of the burial ritual, known as the Apis Embalming Ritual, with actual localities inside the sanctuary itself. Hatshepsut Ma'atkare spectacularly monumentalized the two main entrances to the temple of Karnak. To the south she built the 8th pylon, and to the west the 4th pylon as well as a pylon further to the west which has not survived. After her disappearance, Thutmosis III transformed both of these entrances. He had the 7th pylon erected on the southern entry way, and this article proposes that he also installed two pairs of obelisks to the west, between the 4th pylon and the obelisks already erected by Hatshepsut Ma'atkare (with the name of Tuthmosis II). The analysis indicates that this transformation was completed by his successor Amenhotep II, who also built a calcite chapel between the two pairs of obelisks. This chapel was in turn dismantled by his son, Thutmosis IV, at the time of the construction of his portico court.